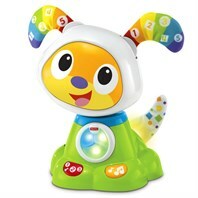 Dance and Move BeatBowWow is an adorable dog toy who likes to move to music! Use up to two switches to make him light up, play music, bob his head and wiggle his ears. Use two standard 3.5mm switches (not included) or press BeatBowWow’s buttons on his paws to turn him on and off. Includes 25+ learning songs, tunes and phrases. 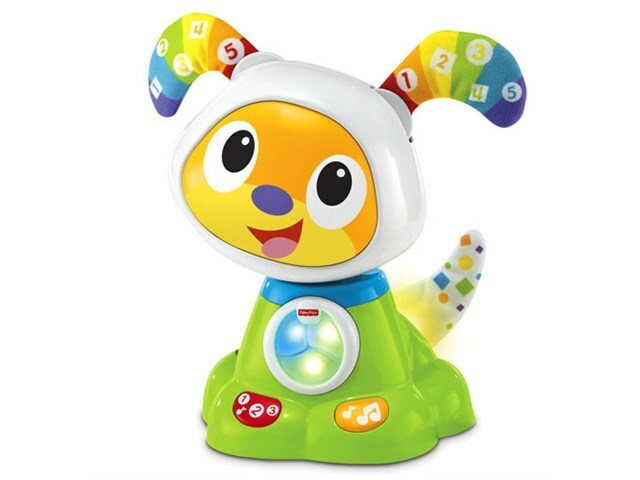 Large multi-coloured LED grid tummy and fun head bobbing action; watch his ears wiggle to the beat as his head bobs back and forth. He also has soft, floppy ears.